How do you measure customer satisfaction? And why does it matter? Customer satisfaction insight is some of the most important intelligence you can gather. It’s a strong predictor of customer retention, loyalty and product repurchase. Plus, customer satisfaction surveys are one of the best vehicles to help you confirm what your customers like, dislike or what they’d like to see improved. The fastest way to improve is by listening and then acting on what your customers really want. Now, because of the importance of customer satisfaction, it’s essential that you understand where your company pleases your customers and where you don’t quite hit the mark. Why? Because measuring customer satisfaction helps businesses to focus on creating and reinforcing those positive experiences that can retain existing customers and add new customers to the mix. Makes sense, right? We want to help you along in your journey to provide the best customer experiences possible. 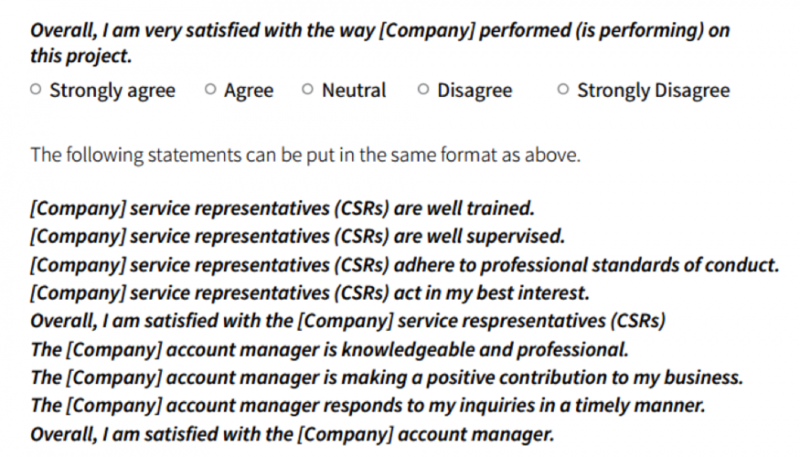 That’s why we’re sharing a sample customer satisfaction survey template that you can use right away to start properly measuring customer satisfaction. This template and others are available in a NEW Qualtrics ebook. Download it here. Look, we get it. Intuition and passion are big drivers of the entrepreneurial impulse, as any business owner knows. But metrics and intelligence are what keep a business thriving, as anyone with a successful business knows. Customer insights are priceless in their ability to give you the information you need to fine-tune your business and nurture your customer relationships.